MSK Prasad has lavished praise on youngster Rishabh Pant who has impressed with the senior team across all the three formats in last one year or so. Prasad has further added that the Delhi batsman is definitely in contention for a spot in the squad for the upcoming ICC ODI World Cup. Rishabh Pant has quickly established himself as one of the mainstay players in the Indian cricket team. Although considered second choice starter behind World Cup-winning captain MS Dhoni, Pant has performed well whenever given an opportunity. Pant was recently included in ICC’s Test cricket team of the year despite only making his debut in the England series last year. India chief selector MSK Prasad has gone on to heap praise on the left-hander who has impressed with the bat as well as behind the wickets since the start of 2018. "Undoubtedly he (Pant) is in contention. A healthy headache. The progression of Rishabh in the last one year is phenomenal across the formats. What we actually felt is he needs a bit of maturity now, gain more experience. That is the reason we have included him in India A series wherever possible," Prasad told ESPNcricinfo in a recent interview. 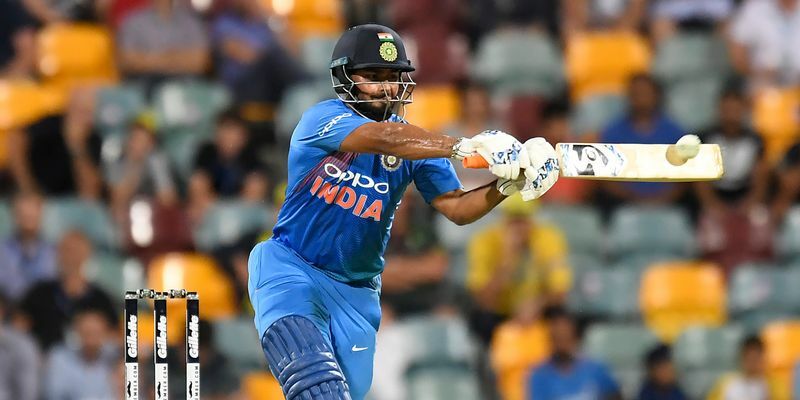 Pant has scored a total of 966 runs in 24 games for India across all three formats and was involved in the recent T20I series loss against New Zealand. Meanwhile, Prasad also revealed that the selectors are also considering Ajinkya Rahane and Vijay Shankar for a spot in the limited-overs team. While Rahane has impressed in List A cricket having scored 597 runs in 11 innings at an average of 74.62, Shankar’s position in the scheme of things within the national team seems rather curious. "In whatever opportunities he has got, Vijay Shankar has shown the skillsets required at this level. We have been grooming him through India A tours in the last two years. But we will have to see where he can fit in the dynamics of this team," Prasad added.